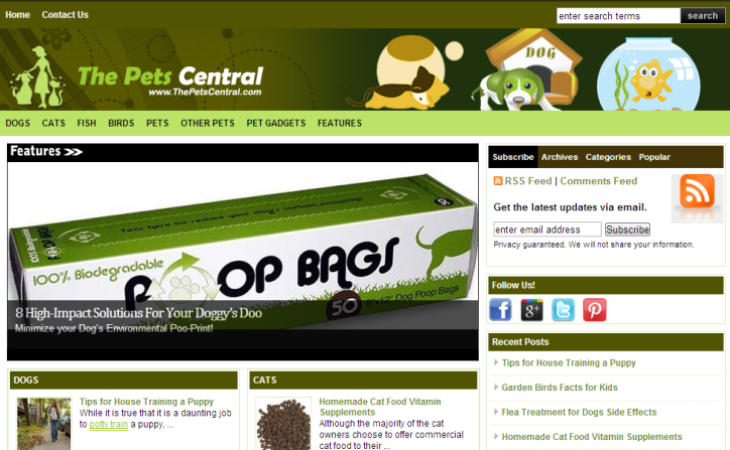 Thepetscentral.com is a site that tells you all that you needed to know about pets in a comprehensive and vivid manner. The focus is on discussing the various types of pets, their health and behavior issues ranging from the most common to even the rarest of rare. The website aims at providing every minute information on domestic animals including their training and accessories that make them comfortable. It is also a great resource for pet owners to browse through the common ailments that might afflict their pets. The site has numerous categories catering to different needs of the reader at various times. It could be finding the right pet at one time or the feeding pattern of the pet during others. Whatever be the need, thepetscentral.com tries to fulfill the information needs of the general reader.